Plex Universal Windows app added Cortana support with the latest update. The latest update version 3.0.43.0 and 3.0.45.0 released to users. 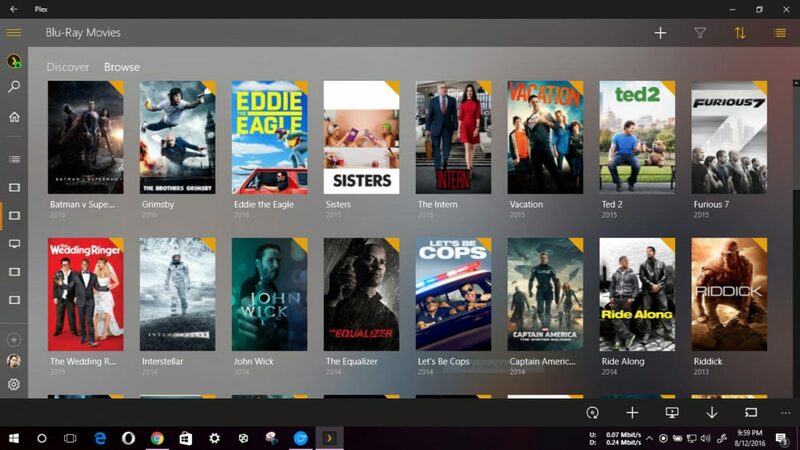 The Plex is a media home streaming app for Windows 10 PCs and other platforms. (Home) Redesign of account picker screen. (Home) Lock account when account picker is opened. Blur background art on synced content for better readability available on Windows 10 Anniversary Update. (Video) Revert transcoding of media with multi-channel AC-3 audio (previously causing stuttering), since it introduced issues for other users. (UI) A bunch of minor tweaks to UI. (Playlists) Fix breadcrumb on playlist page. (Music) Restore volume at startup. (Cortana) Various bug fixes and performance improvements. Fix crash when navigating to the album by folder. Fix crash after sign in on Windows 10 November Update builds.